Welcome to Papillon Dental Arts - a team of dentists and specialists who offer evidence-based dental care to tend to your unique oral health needs. With a team of compassionate dental professionals, we work with you to create a well rounded care plan that meets your short and long-term goals. Our team competently offers Cosmetic and Restorative Dental Services, Invisalign, Implant Dentistry, Periodontal and Oral Surgery, Sedation and General Anesthesia, and Speech/Language Therapy. Did we peak your interest? Come and meet our team and tour our practice. Take the first step to fulfilling your oral health goals by scheduling an appointment. Call us today at (415) 731-5104. Dr. Rahimi earned her degree in dentistry from the University of Hamburg in Germany in 2004. She moved to the United States in 2007 and pursued advanced education in dentistry earning a second doctorate in dentistry from University of Southern California. After completion of her studies at USC, she attended LMC-NYU for Advanced Education in General Dentistry. Dr. Rahimi believes greatly in continuing education in her field and keeps current with the newest advancements in evidence-based dentistry. She has received advanced training in cosmetic dentistry with the UCLA Aesthetic Continuum in association with the American Academy of Cosmetic Dentistry and seeks continuous excellence in her field as a member of the Spear Faculty Club. 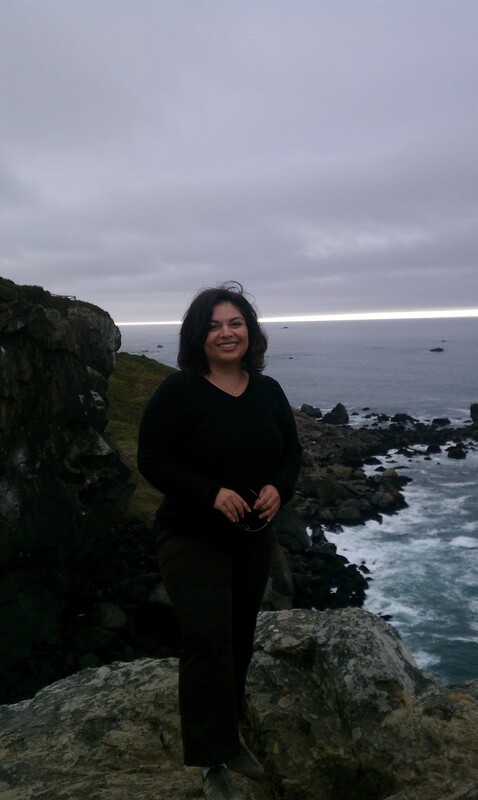 Dr. Rahimi has been active in private practice and community/public health dentistry in Northern California for the past several years serving communities in Redding, Humboldt Del-Norte County and now in San Francisco. Patients and staff equally appreciate Dr. Rahimi's warm and caring personality combined with her great attention to detail and quality of care. Dr. Rahimi believes in providing service to others, promoting integrity, and advancing world understanding, goodwill, and peace. She is a member of Rotary Club San Francisco West and Rotary International. In her spare time, Dr. Rahimi enjoys spending time with her family and friends. She enjoys nature, art, design, photography, music, performing arts and literature. Another passion of hers is traveling to new places and learning about their history, culture, language, and way of life. Our Dentist is a member of the following Professional Organizations: American Dental Association, California Dental Association, San Francisco and Humboldt-Del-Norte Dental Societies, Spear Faculty Club. She is also an LMC scholarship recipient for the Academy of Academic Leadership. Dental Anesthesiology from the University of California, Los Angeles (UCLA). She was on staff at the University of Southern California, School of Dentistry and the Long Beach Memorial Medical Center’s Children’s Dental Health Center in Long Beach while maintaining a private practice in dental anesthesiology in the Los Angeles area. Dr. Satuito currently in private practice throughout California providing sedation and general anesthesia. Her passion for the care of the special needs patient fueled her desire to pursue a training in dental anesthesiology. Dr. Satuito is a Fellow of the American Society of Geriatric Dentistry and a Diplomate of the American Board of Special Care Dentistry. She is also a Fellow of the American College of Dentists and the Academy of Dentistry International. Ms. Aida Rahimi, SLP-CCC, is our wonderful Speech/Language Pathologist. She graduated from California State University, Northridge (CSUN) with a masters of science, and has been active in the field of speech-language pathology since 2013 working with clients ages 2 through 80. At this time, she is focused in evaluation and treatment of language delays and disorders of children aged 2-18, working with children and their families in their home as well as in the school setting. Patients and parents love working with Ms. Rahimi not only because of her expertise, but also for her caring, sweet, and fun personality.